139 Taylor, Keller, Texas 76248. Community-wide clean-up and beautification event sponsored by Grapevine Parks & Recs Dept. The event will take place at local parks and all supplies will be provided. 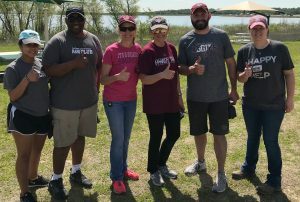 Community Service – if you have an event that you would like to have considered as a Community Service event for our club, please contact Contact Margie Curtis ‘87 at margie8789@gmail.com or 817-455-0490 for more information or if you have a community service project idea. Also, if there is an Aggie in our community that needs extra assistance, please reach out!